One plug expands into 4 outlets and 4 USB charging outlets, each of which can be controlled independently from anywhere using your phone. Plug your TV, Game Console, Cable Box, and Sound Bar and control each independently. Your toaster, coffee machine, water heater, blender, and other appliances no longer have to fight for space on your kitchen counter. 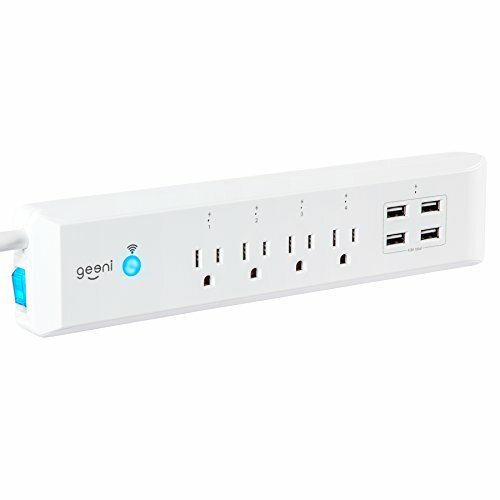 Anything you plug in can be controlled from anywhere using the Geeni app or (optionally) by voice using Amazon Alexa or Google Assistant.